A special city, multifaceted and characterized by endless opportunities for fun and entertainment. It is located in the Adriatic coast and is also known as the “Queen of the Adriatic”. It is a seaside resort suitable for all ages and is super adored especially to spend the summer holidays in Italy. All these signs point to a particular city, Rimini. History and culture, gastronomy, glamor and lifestyle, sports and wellness but above all the sun and sea characterize this popular resort of Romagna region. Read our simple tips on how to introduce visitors to Rimini, plan your route, find your ideal hotel near the Adriatic coast and SET OFF NOW! 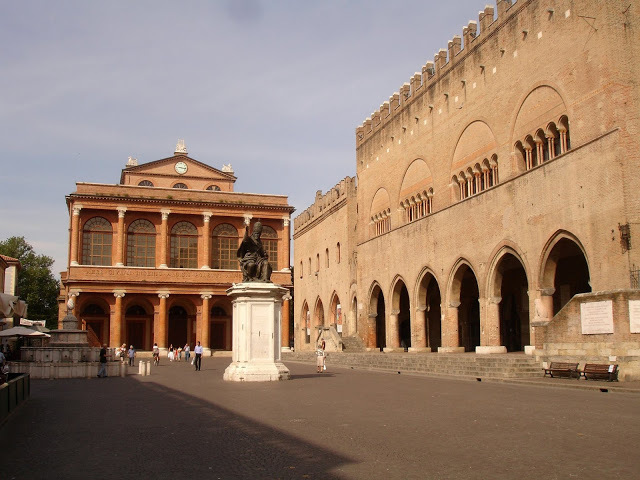 First, you can not miss the historic center of Rimini. Three Martyrs Square, in the heart of Rimini, you can admire the historic milestone century left to the passage of Julius Caesar. Did you know him? Close to this important location, there is Piazza Ferrari, known for its excavations and its archaeological site that has brought to light the great Surgeon’s House (Domus del Chirurgo), the remains of a late imperial, a large tomb and traces an early medieval settlement. Wednesday is usually the day when there is free admission to the Surgeon’s House, but more information is better to consult the official website: http://www.domusrimini.com/eng/the-surgeon-house/info.php . If you decide to include this destination in your route, remember that not far from the Domus is the Museum of the City of Rimini. Finally we find the important Piazza Cavour, where you can admire the Fontana della Pigna, the Galli Theatre and the entrance to the Old Fish Market, a popular gathering place for youth in both summer and winter. Rimini is a city to explore on foot, so you can enjoy every single peace of mind. Starting from the Arch of Augustus, you can start a pleasant pedestrian path through the course of Augustus and Via Flaminia, on its way to Bridge of Tiberius. During the trip, you’ll want to visit the Cathedral of Rimini. 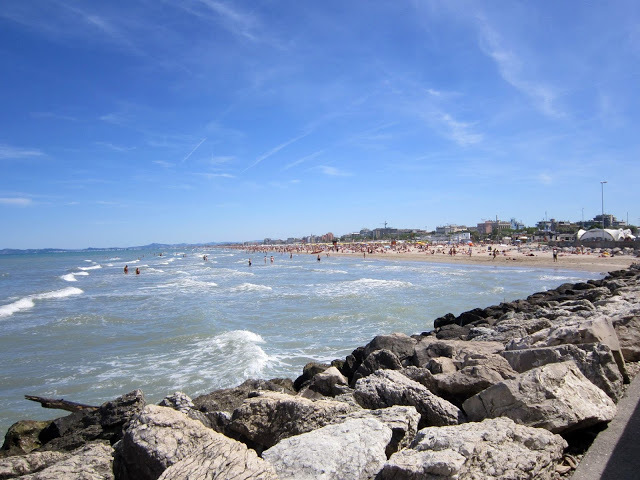 If you love to spend some time relaxing in the sea, alone or with friends, the beaches of Rimini and its surroundings, are what were looking for. Here you will find large stretches of golden sand that blend perfectly with the intense turquoise color of the sea: some beaches are equipped with various types of services, others are very wild. In this area of the Adriatic coast, the beaches are not only concentrated in the center of Rimini, but also in the villages located north and south of the Queen of the Adriatic Coast, such as: Torre Pedrera, Viserbella, Viserba, Rivabella and San Giuliano a Mare. 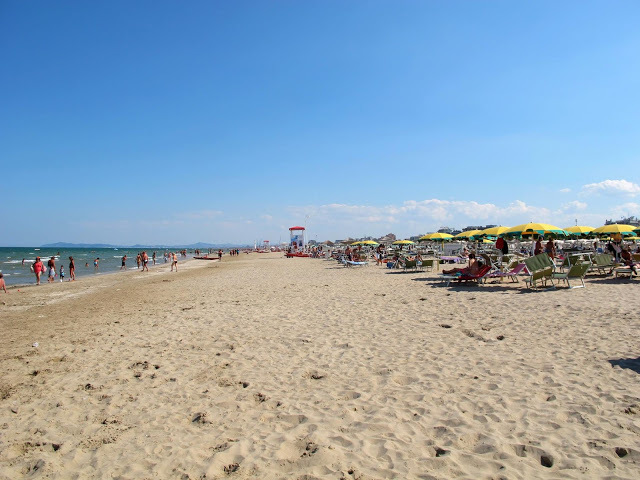 – Levante Beach: located near the dock of the Port of Cattolica, the eastern beach is located in the stretch of sand between the beach of New Dock and the bathroom No. 4. Here you can still take advantage of the showers and toilets. – Free beach in Ventena Zone: located next to the mouth of the river Ventena, which runs through the Catholic and just before the beach services ( bath No. 12.) Here, too, you can use showers and toilets. 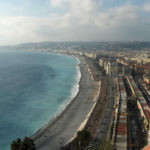 – Free beach in Zona Kursaal – First of May Square: at Piazza Primo Maggio and Hotel Kursaal, this stretch of beach is located between the bath No. 42 and No. 44. Just 10 minutes walk from this beautiful beach of Cattolica, our users tell us the Hotel Corallo, is very clean and cozy … perfect for a holiday by the sea. The property is equipped with an outdoor swimming pool and free car parking. Throughout the year on the coast and in the hinterland of Rimini are held picturesque wine and food festivals. Among the many festivals in the sea, we want to point out: La Gradisca in June and La Festa del Borgo in Borgo San Giuliano in July, both along the coast of Rimini. For both events there are food stands and musical theater and dance. 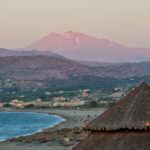 On these occasions, you can taste the real typical local dishes such as sardoncini (a great fish dish, made with sardines grilled) and the mythical “piada”, the true piadina. The whole course can be accompanied by a good glass of wine. 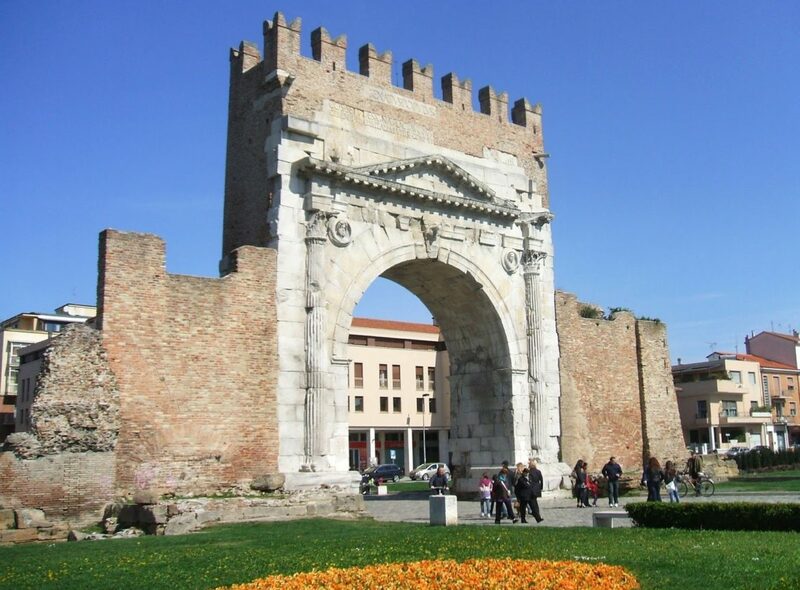 Near the city of Rimini, they are placed at various theme parks, ideal for spending a pleasant day. 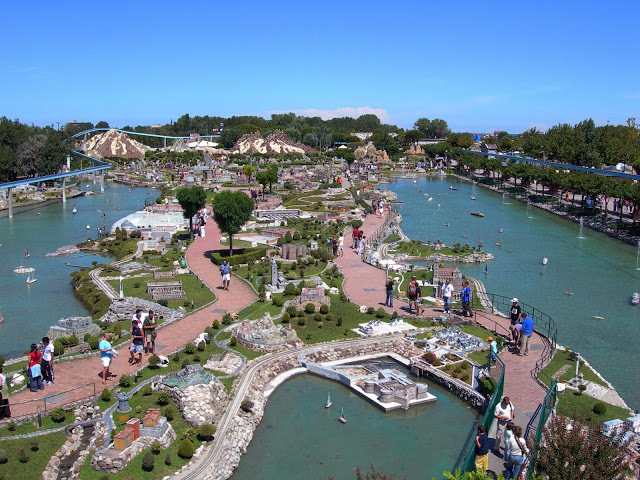 Between the theme parks of Rimini’ the most famous, is the Italia in Miniatura, located inside of Viserba. This park offers a fantastic journey through the major attractions of Italy, all fully reconstructed . To enjoy a magnificent view of the whole Italia in Miniatura, we’ll want to get on the second floor of the train and enjoy the show. Just by the sea, and just 7 minutes drive from Italy in Miniature, one of our users recommend the Hotel LaMorosa just to have a wonderful holiday in Rimini. It enjoys free WiFi Internet access, satellite television and free car parking. Inside of Rivazzurra is a theme park dedicated exclusively to children: Fiabilandia. Here they are reconstructed all scenarios the most famous fairy tales and the most loved by children, and many rides as trains, roller coasters and artificial lakes. 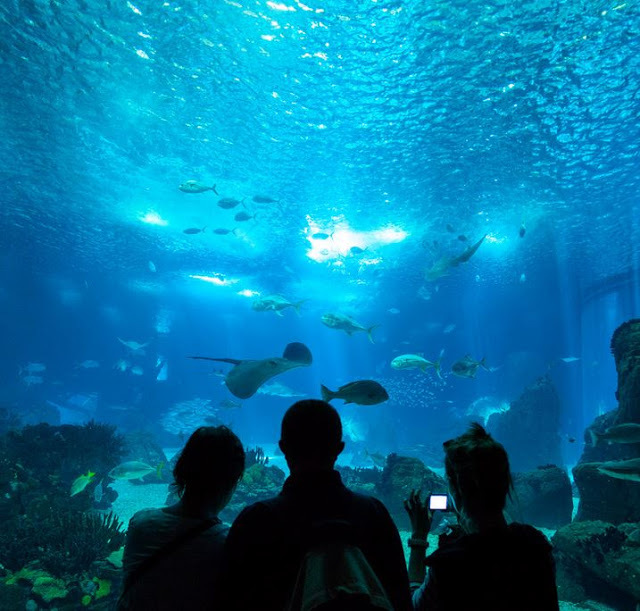 Moving again to the city of Cattolica, you can get into another big attraction on the Adriatic coast: the large Aquarium Le Navi Cattolica, Rimini. Opened in 2000, now it houses more than 3,000 specimens of 400 species of fish from the seas of the world. The visit takes place completely inside, divided in well 4 different routes: the Blue Route tells the whole story of Planet Earth and biological evolution; the Yellow Route will take you to the discovery of rivers populated by baby caiman and otters in their natural habitats. The Green Route exposes many as 22 species of insects and reptiles; while the Purple Path lets you know the tropical and Mediterranean species. If you organize your trip in Emilia-Romagna especially to visit the Aquarium of Cattolica, most of our users may want to stay at the Hotel Maxim, located about 6 minutes walk from the aquarium, and has air-conditioned rooms, Wifi Internet access and outdoor pool. To reach Rimini, we recommend the car … but if you’re planning your vacation on the Adriatic coast from far away, the airports of Bologna (Guglielmo Marconi), Forli (L. Ridolfi) and Rimini (Federico Fellini), are connected with the most important Italian and European cities. If you decide to buy your air ticket to the airport of Rimini, you can take the bus number 9, which in a few stops leads you directly to the city center. 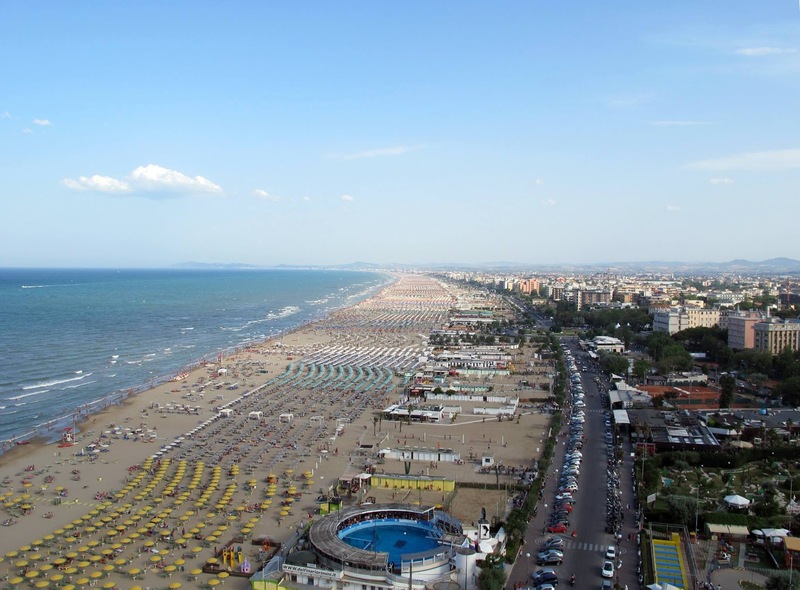 Rimini it can be reached easily by train, with the railway line Ancona – Bologna. To explore the various artistic paths of Rimini, any month of the year is perfect, but we recommend the spring and autumn so you can walk through all nature trails. 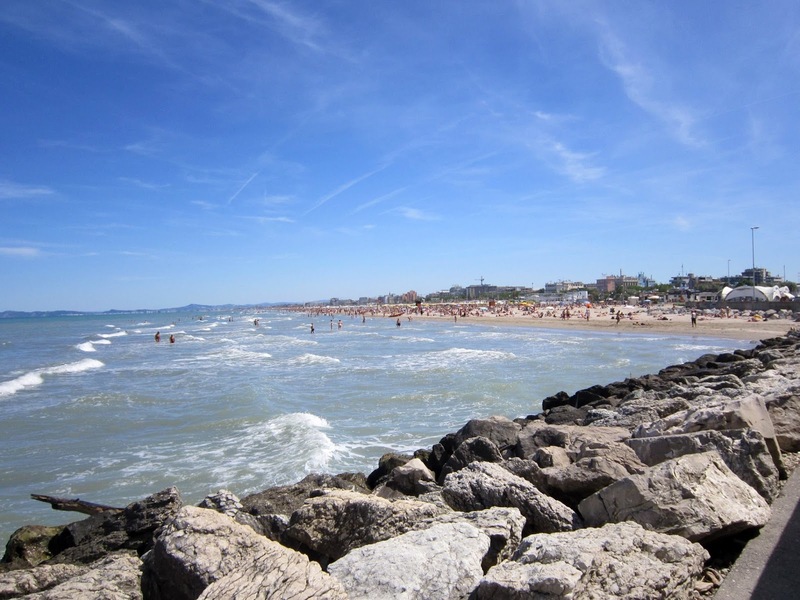 Rimini is best known for the sea, and the ideal time to enjoy everything is from March to September.